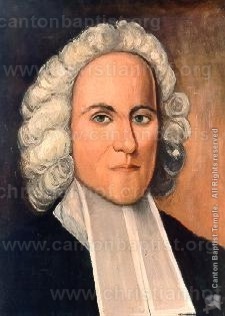 American theologian and philosopher, Jonathan Edwards, was born in Connecticut. He entered Yale at the age of thirteen after having mastered Latin, Greek, and Hebrew. He was graduated at the age of seventeen and soon after was converted to Jesus Christ. He served pastorates in Massachusetts during the “Great Awakening,” a tremendous revival which began through the influence and preaching of George Whitefield, William Tennant, and others. The revival continued from 1734-1744, with mass conversions adding fifty thousand converts to the churches of New England. Edwards is perhaps best known for a sermon he preached entitled, “Sinners In The Hands Of An Angry God” during which “strong men fell as though shot and women became hysterical.” Through his preaching thousands were converted to the Lord Jesus Christ.